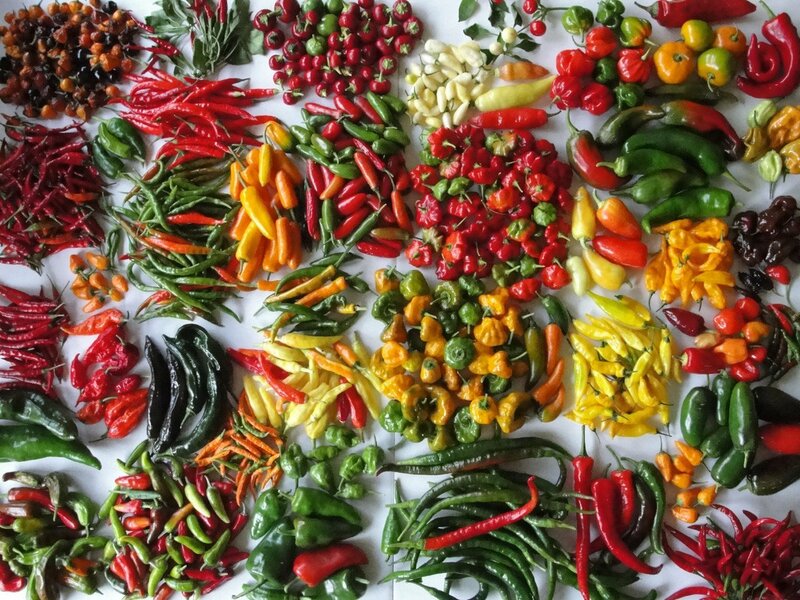 You harvest tons of these novel Hot Peppers in an explosion of fancy colors. From cream to white to yellow to purple to orange and then red. This gorgeous plant is the real show stopper! Very beautiful and very different. Compact growth makes it perfect for container gardening. 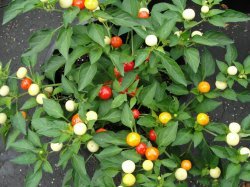 You can grow this as an ornamental pepper as well.